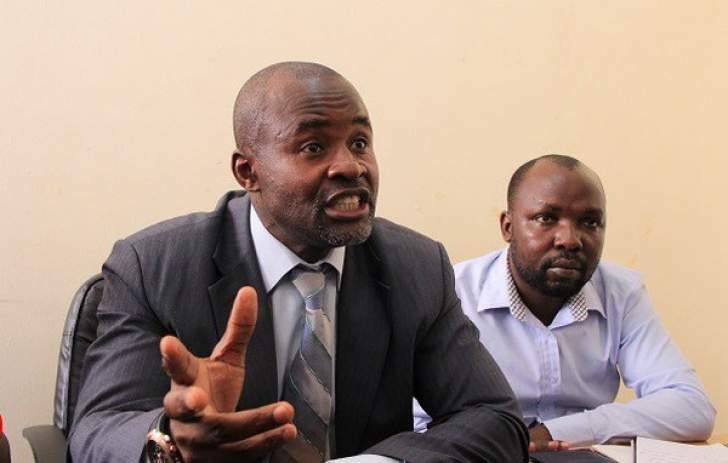 NORTON legislator Temba Mliswa is often regarded as a "fork-tongued" politician who talks too much and claims no allegiance to any political party by day, yet he allegedly supports Zanu-PF and President Emmerson Mnangagwa by night. Mliswa recently drew the ire of female legislators when he bluntly told them in Parliament that their free 60 proportional representation seats should be cut to 20 as most of them were merely bench warmers. The Norton MP and candidate for next month’s elections told The Standard in an interview that he was a very liberal person, and like any Zimbabwean he was free to support his favourite candidate, Mnangagwa, for the presidency despite him being the leader of Zanu-PF, a party that he often blasted for corruption. His forecast is that Mnangagwa will win the forthcoming elections because the white businesspeople who allegedly bankrolled the MDC-T in the past were now behind the new Zanu-PF leader. Ironically, Mliswa does not see eye-to-eye with Mnangagwa’s advisor Christopher Mutsvangwa, who he has on several occasions traded barbs with. Mutsvangwa, like Mliswa, is also sharp-tongued. But, Mliswa said his personal differences with Mutsvangwa did not necessarily mean that he could not vote for Mnangagwa in the coming elections. "People think that I am a wolf in sheep’s skin, but I want to say that one does not need to be in Zanu-PF in order to support Mnangagwa, or even to be a member of the MDC Alliance to support Nelson Chamisa," Mliswa said. "In this election, I will support Mnangagwa, but I also have no doubt that Chamisa will one day lead this country. It is only a matter of time." On his nasty experiences with Mutsvangwa, who is also eyeing the Norton seat, Mliswa said the war veteran must know that his post in government is the president’s advisor and not MP for Norton. "It is possible to find children born of the same parents supporting different political parties. I support Mnangagwa for his leadership and capabilities, and to me I think that he is a good leader. For the next five years we need a good leader like Mnangagwa, but at the same time I do not want him to overstay," he said. The Norton MP said although he was disowned by Zanu-PF in 2015, he still supported the ruling party’s ideology, albeit that he was totally opposed to generational takeover within the party where the same old people continued to want to cling to power. "I agree with the Zanu-PF ideology, but I do not support corruption within Zanu-PF. The ruling Zanu-PF is the only party I have known in my political career. However, as long as Zanu-PF fails to admit to its violent past, and fails to work positively towards making amends for it, and to restore constitutionalism to its operations, then I will never want to be associated with them as an institution," he said. Inasmuch as Mliswa does not want Mnangagwa to cling to power for long, he said if he wins the Norton seat this would be his last term in Parliament. "After this term it is either I assume higher office (presidency) or I stop being a politician. If I fail to win, I will accept because I have children and businesses to run," he said. The MP has been criticised for singing praises of Mnangagwa in a bid to get a ministerial post, especially the Sport ministry. But, Mliswa said there was nothing wrong with him soliciting for that, adding that he was the best qualified person in the country to run that ministry. "I was actually disappointed when Mnangagwa did not appoint me Sport minister. He was supposed to be objective and not look at partisan issues. I was the best person for the job because I am well-versed with sport issues. I have been national coach for different teams. I was a fitness trainer for Wayne Black and for Caps United. I was national director of Zimbabwe Rugby, a cricket player and development officer for Zimbabwe Cricket and national director for Zambian rugby. I was chairman of Dynamos Football Club, and so what is wrong with me becoming Sport minister? "If Mnangagwa wins he should consider me for Sport minister. I am open to become Sport minister for any government because I am someone with a lot of expertise," he said. On his ambitious project to trace the alleged missing $15 billion diamond revenue and inviting former president Robert Mugabe to testify on that, Mliswa said he was unfairly criticised by people who thought he was using the work of the Mines and Energy Parliamentary Committee as a campaign tactic. There were also allegations that Mliswa was being used by Mnangagwa to further humiliate Mugabe by arraigning him before the committee. "It was due process by the Mines Parliamentary Portfolio Committee, and we wanted to kill the perception that there was $15 billion worth of diamonds missing. Mugabe was the best person to explain the issue because he was the one that first mentioned it. "People said it was not fair because the committee did not invite Mnangagwa and Vice-President Constantino Chiwenga to also explain. But, Mnangagwa and Chiwenga were never implicated in the diamond saga. It was Mugabe who was implicated by the diamond miners," Mliswa said. On former Mines minister Obert Mpofu, he said the committee recommended that he and other ministers implicated be further investigated by the Zimbabwe Anti-Corruption Commission. He said the committee, which had 60% Zanu-PF-affiliated MPs, also recommended that Mpofu be charged with contempt of Parliament. "Therefore, the recommendations have already been made and so we were not chasing after wild geese. The Ninth Parliament must follow up on those recommendations. Even security committees like the Parliamentary Portfolio Committee on Defence and Home Affairs in the Ninth Parliament should be able to summon law enforcement institutions to question them on whether they followed up on the issue," he said. Mliswa predicted that the forthcoming elections would be tricky in the sense that Mnangagwa might win the presidency but would not have a majority in Parliament or vice versa in favour of Chamisa. On his tiff with female MPs where he angered them by saying they were benchwarmers, Mliswa said his opinion remains that a true 50/50 gender representation ratio could be achieved by fielding competent female candidates who would actually contribute to debate, not mere benchwarmers.